LINE GAMES Corporation announced today that the global pre-registration for its mobile CCG Destiny Child is now open for users worldwide. Developed by LINE GAMES and SHIFTUP, Destiny Child is a mobile CCG (Collectable Character Game) featuring the adventures of a Demon King candidate and his three supporting succubi, ‘Mona’, ‘Lisa’ and ‘Davi’. 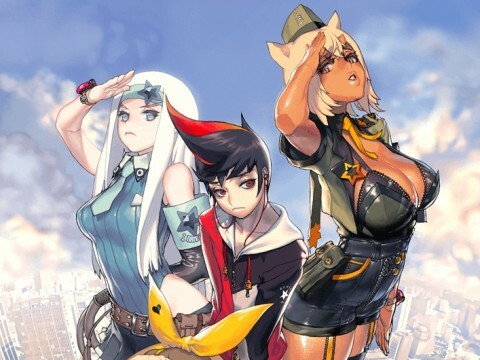 The game is renowned for its top notch Live2D illustrations by Korea’s famous illustrator Hyung-tae Kim, and features over 300 characters (“Childs”) that users can strategically assemble to challenge various contents including story dungeons, boss raids and PvPs. Destiny Child’s official global launch will take place in upcoming December, and pre-registration is open for 164 countries in North America, Europe and Southeast Asia region until December 5. LINE GAMES will reward all pre-registered users with various items including generous amount of in-game currencies of ‘1,000 crystals’, ’10,000 onyx’ and ‘100,000 gold’, as well as a ‘5-star character summon scroll’ that will help users get a head start. Along with pre-registration, users can participate in Destiny Child’s ‘Share Gacha’ event at its official Global Brand Page, where users can get an additional 5-star character by sharing the event on social media. Destiny Child was launched in Korea and Japan in 2016 and 2017 respectively, and has been widely popular in both countries ever since. In Korea, it has achieved No. 1 grossing game app soon after its release on Apple App Store and Google Play. Also noted for its active collaboration with world famous IPs including ‘Street Fighters’ and ‘VOCALOID’, Destiny Child offers compelling and unique CCG experience for players. More information on Destiny Child and its global pre-registration can be found at its official Global Brand Page and Facebook.